Making tiny spaces livable is a complex process, but innovative space-saving features can yield amazing results. 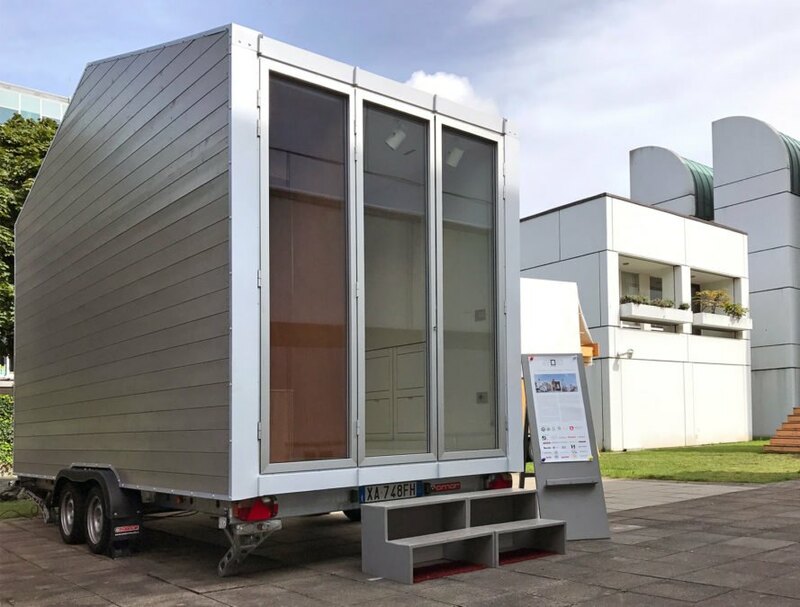 Italian architect Leonardo Di Chiara converted a 96-square-foot structure on wheels into the aVoid House – a small-space wonder with collapsible furniture that folds into its walls when not in use. The aVoid House is a collaboration between the architect and Tinyhouse University. 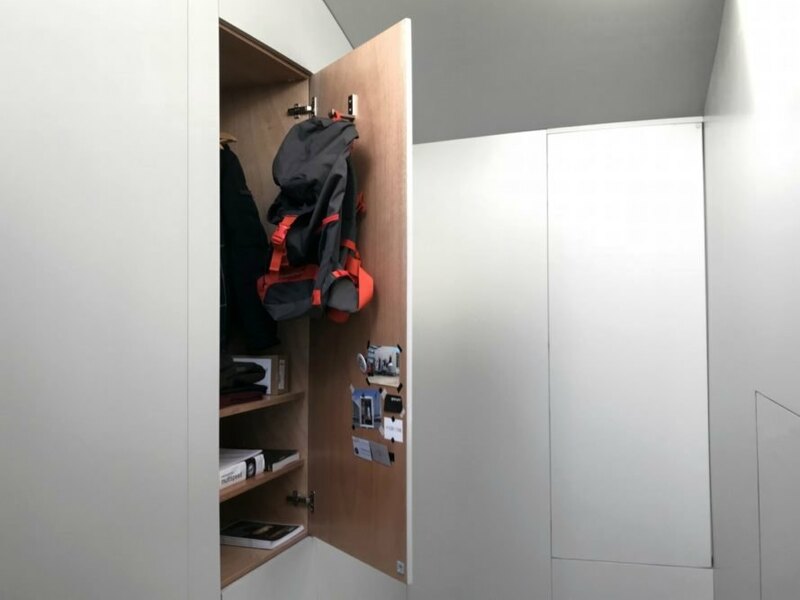 With just 96 square feet, the tiny space houses all the basics of a home, but it’s geared to those wanting to reduce their clutter. All of the home’s furnishings are concealed behind the walls when not in use. The home’s bed, dining table, chairs, kitchenette, storage, a ladder to access the roof deck can all be put away to open up more room when needed. 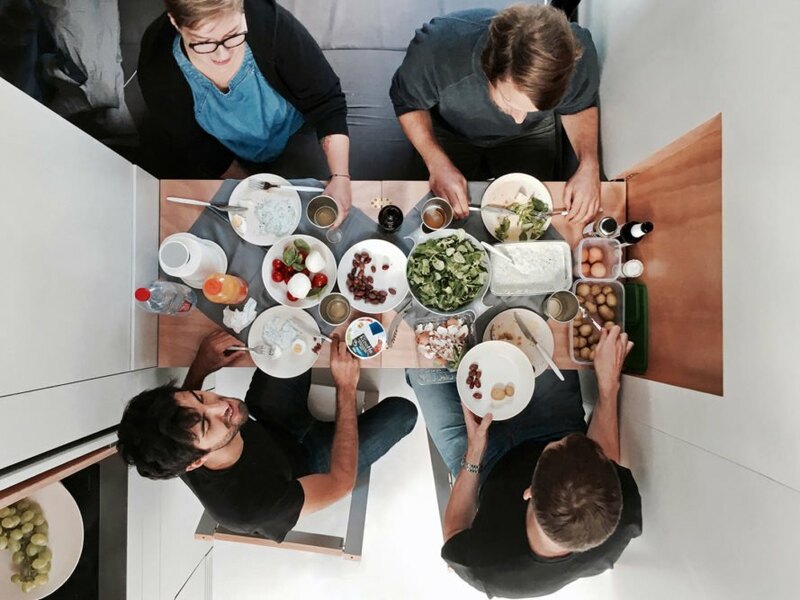 Di Chiara believes that this new style of compact, transportable homes can help cities deal with urban housing issues. Although the entrance is a transparent doorway, the aVOID tiny home doesn’t have any side windows. This is because it is essentially a row home designed to be placed alongside other houses. 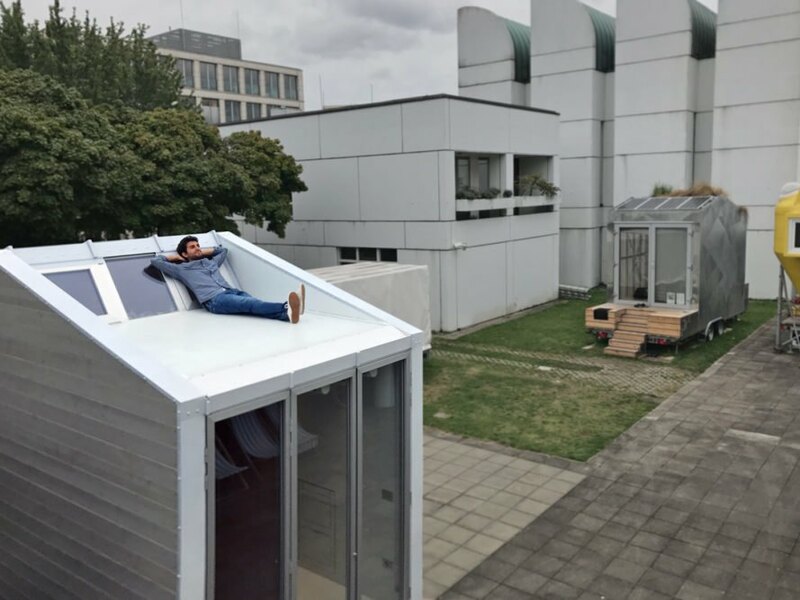 The architect believes that small, minimalist homes can offer a strategic housing option for urban areas – and he also envisions “migratory neighborhoods” where people can live in different houses. 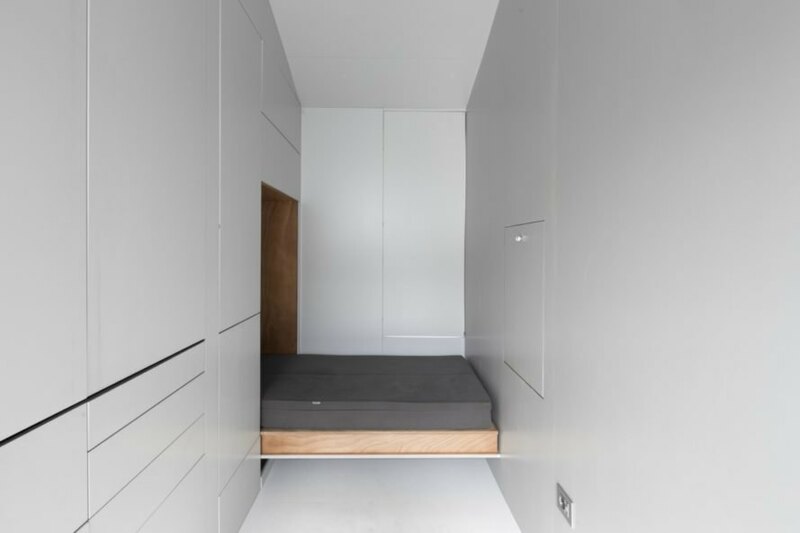 Making tiny spaces livable is a complex process, but innovative space-saving features can yield amazing results. 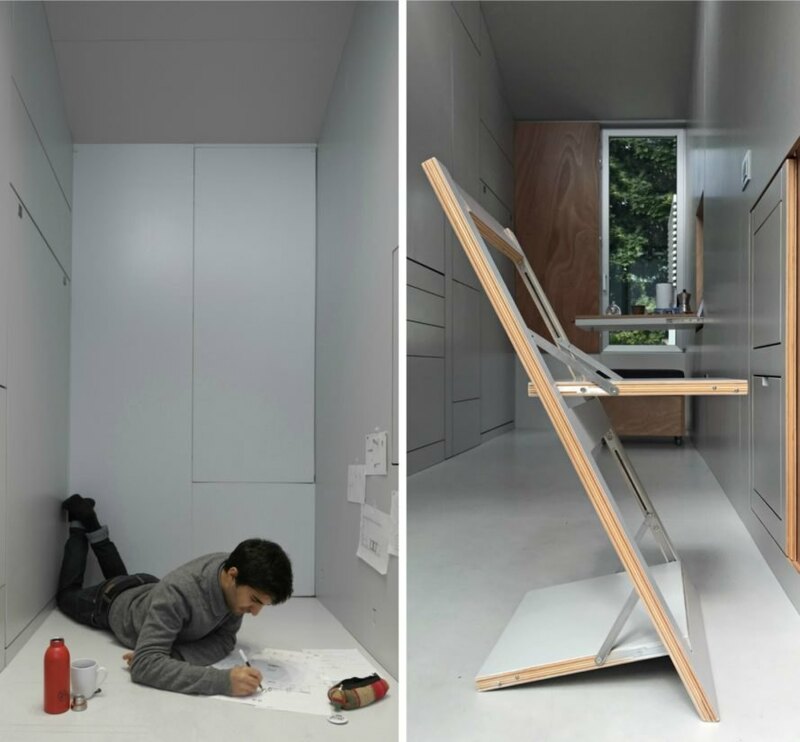 Italian architect, Leonardo Di Chiara, converted a 96-square-foot structure on wheels into the aVoid House - a wonder of space efficiency that features collapsible furniture that folds into the walls when not in use. The aVoid House is a collaboration between the architect and Tinyhouse University. With just 96 square feet, the tiny space houses all the basics of a home, but it's geared to those wanting to reduce their clutter. All of the home's furnishings are concealed behind the walls when not in use. The home's bed, dining table, chairs, kitchenette, storage, a ladder to access the roof deck can all be put away to open up more room when needed. “The tiny house is like a short instruction manual to reductionism,” said Di Chiara. Di Chiara believes that this new style of compact, transportable homes can help cities deal with urban housing issues. Although the entrance is a transparent doorway, the aVOID tiny home doesn't have any side windows. This is because it is essentially a row home designed to be placed alongside other houses. 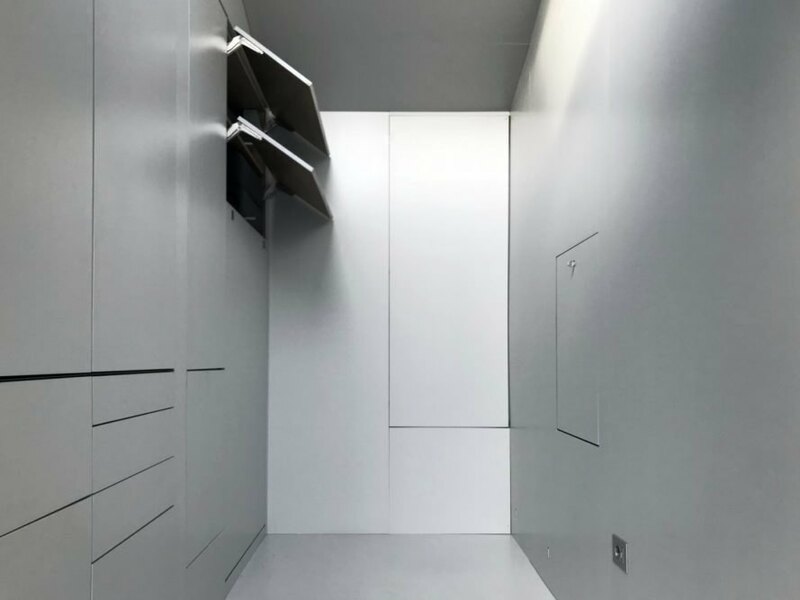 Ample closet space hidden in the home's walls. There is ample storage space in the home. 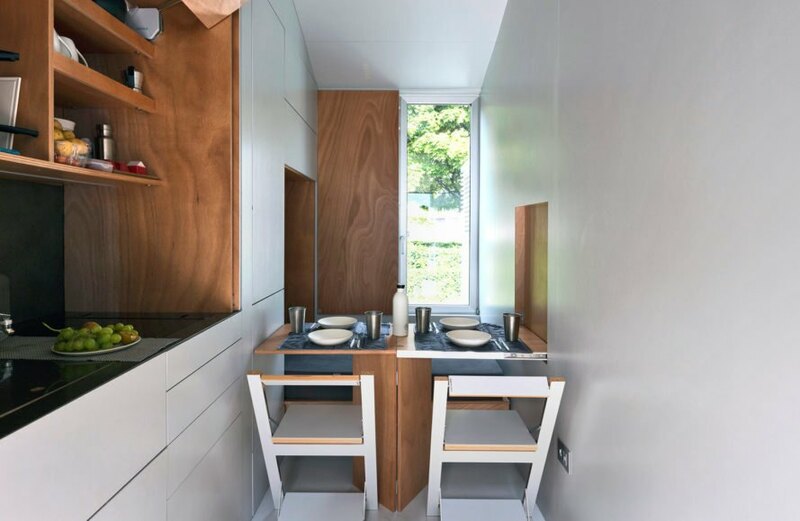 The kitchen can be completely folded up into the walls. 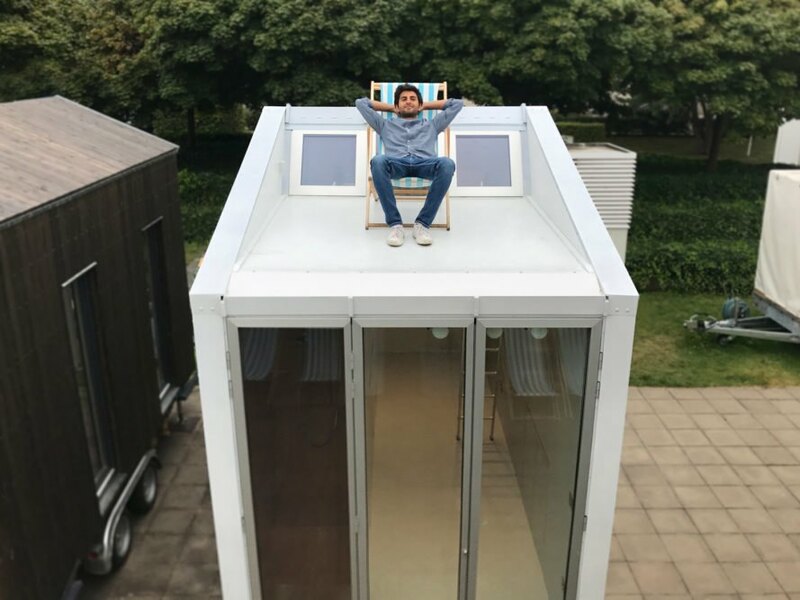 The architect believes that small, minimalist homes can offer a strategic housing option for urban areas - and he also envisions "migratory neighborhoods" where people can live in different houses. Making tiny spaces livable is a complex process, but innovative space-saving features can yield amazing results. 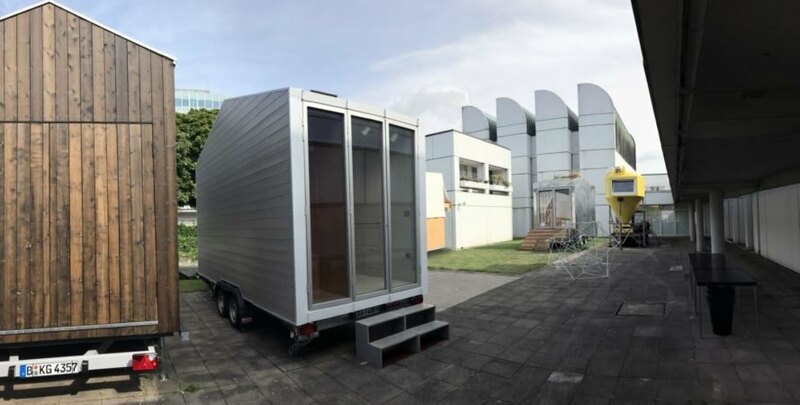 Italian architect Leonardo Di Chiara converted a 96-square-foot structure on wheels into the aVoid House - a small-space wonder with collapsible furniture that folds into its walls when not in use.